SME Corporation Malaysia (SME Corp) chief executive Datuk Dr Hafsah Hashim after launching the Nor Gee Bakery at Kampung Tok Dor with the bakery’s managing director Norfuzilawati Yusoof and Terengganu SME Corp director Muhammad Ibrahim. JERTIH: Terengganu’s young small business entrepreneurs have proven their mettle by generating the highest state turnover of RM5.3 million, out of the nationwide total of RM39.8 million over the past three years. SME Corporation Malaysia (SME Corp) chief executive Datuk Dr Hafsah Hashim said the amount, calculated from 2014 until last month, reflects the commitment and enthusiasm Terengganu’s youths have displayed under the Tunas Usahawan Belia Bumiputera (Tube) programme. “Terengganu’s 114 pioneer Tube participants amassed RM3.2 million in sales for 2014, followed by 50 Tube members who recorded RM1.7 million the following year, and RM500,000 by a similar Tube number last year. “This has enabled the state to offer the highest number of jobs for 512 people for the last three years,” she said after launching the Nor Gee Bakery at Kampung Tok Dor. 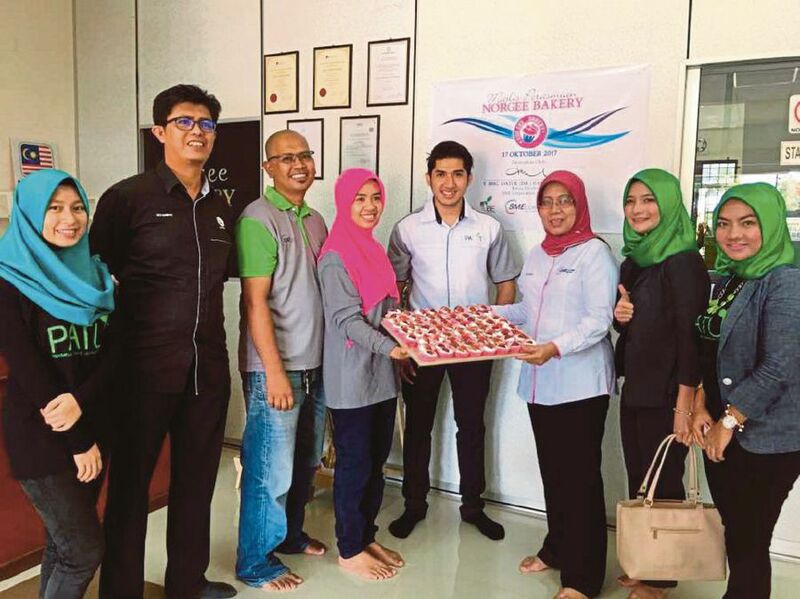 Present were the bakery’s managing director Norfuzilawati Yusoof and Terengganu SME Corp director Muhammad Ibrahim. Hafsah added that Pahang is the next best Tube performer with RM5.2 million in sales, followed by Selangor with RM4.4 million and Sarawak with RM3.8 million. Hafsah commended Tube 1.0, Tube 2.0 and Tube 3.0 participants nationwide, whereby 99 per cent of participants (or 1,425 out of 1,435) are now successfully running their own businesses. “Their efforts have enabled the creation of 3,420 jobs for youths nationwide, apart from generating a total business turnover of RM39.8 million in the past three years. “SME Corp will pump in RM20 million for the Tube 4.0 programme nationwide, to enable more youths to take part in business ventures,” she said, adding that Terengganu itself will receive RM1.5 million in grants for the coming year, as compared to the RM759,000 acquired for the Tube 3.0 programme. Hafsah added that the Tube initiative aims to turn youths from being employees into prosperous business owners and employers.